Article featured in Dec 2001 "Comic Book Marketplace"
I hope 2019 is treating you well for you so far! Thank you for dropping in to visit my website. The collectibles' markets seem to continue to show strong demand and upward trends. For this reason, and my love of collectibles in general, I continue to scour the countryside, seeking "fresh" material for my website and eBay listings (comic-warehouse). Thus, I am always able to add new items each week to ensure that my inventory selection is as potent as possible to peak collector interest. 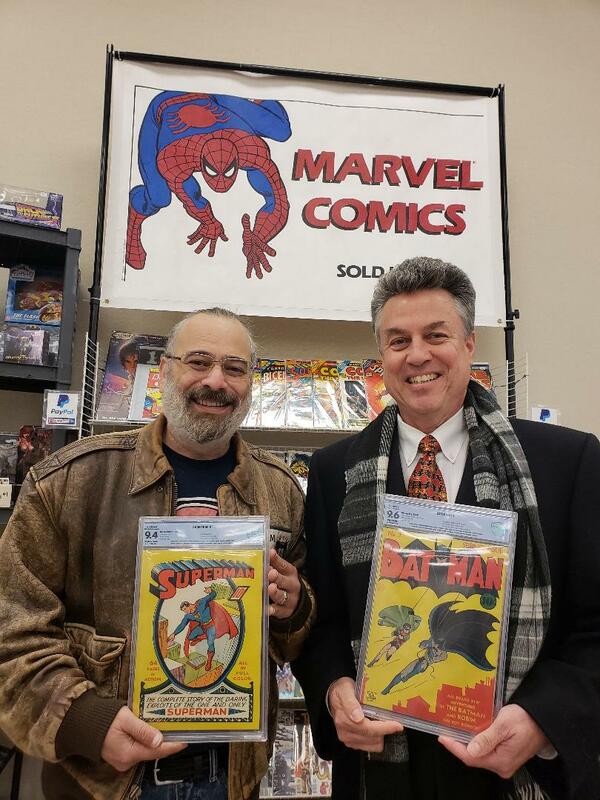 As a matter of fact, I've sold over 18 original-owner Golden/Silver-Age and Bronze-Age comic book collections through my website and eBay listings this past 24 months and look to surpass that in the coming years. I continue to list plenty of vintage baseball, football, basketball, hockey, boxing and non-sport cards as well, so there are always plenty of these to choose from, especially within my eBay listings (comic-warehouse). If you are already on my email list then you will be receiving notification emails for special events and offerings that I will be having, such as my website and eBay auctions (comic-warehouse). We send out weekly email blasts to my entire customer list. Oh, by the way, be sure to check out those eBay listings, as I generally have thousands of listings going at any given time. If you are visiting because a friend mentioned the site to you, then please make sure that I get at least your email address, if not your mailing address and want-lists as well. I hope that you enjoy scrolling through my website and please do not hesitate to contact me at the office or via my mobile number.